What do turkeys and people have in common on Thanksgiving? They both get stuffed! 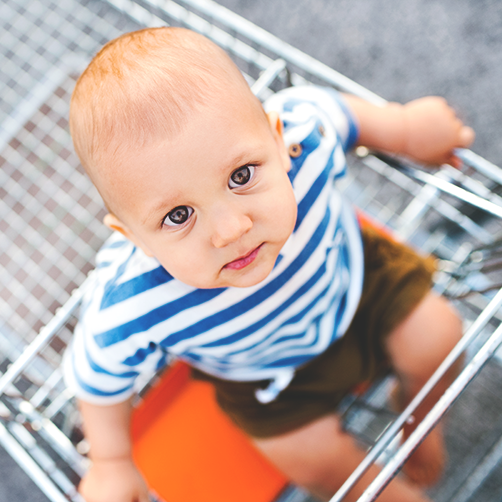 Unfortunately, there’s one more guest that could be waiting to crash your Thanksgiving feast … foodborne germs. The Centers for Disease Control and Prevention (CDC) estimates that 48 million people get sick each year from a foodborne illness. The CDC warns that raw foods of animal origin, including turkeys, are the most prone to contamination. 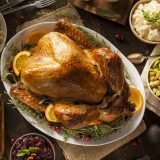 So this Thanksgiving, keep your family full – not feverish – with these 6 Thanksgiving food safety tips. Before you begin cooking your Thanksgiving feast, thoroughly clean and disinfect all surfaces the food may come in contact with. Start by washing kitchen surfaces with hot, soapy water. Rinse, then apply a solution of 1 tablespoon of regular chlorine bleach with 1 gallon of water to disinfect the areas. Let air dry. Clean and disinfect food contact surfaces between tasks to avoid cross-contamination of surfaces. To prevent the spread of foodborne germs, wash your hands thoroughly for 20 seconds (or as long as it takes to sing the “Happy Birthday” song twice) with warm, soapy water before and after all food preparation AND immediately after handling raw foods, and between food preparation tasks. To avoid cross contamination, keep all raw meat, poultry, or seafood items separated from fresh fruits and vegetables. Use separate cutting boards when preparing raw meats and fresh produce. Clean and disinfect cutting boards between uses. 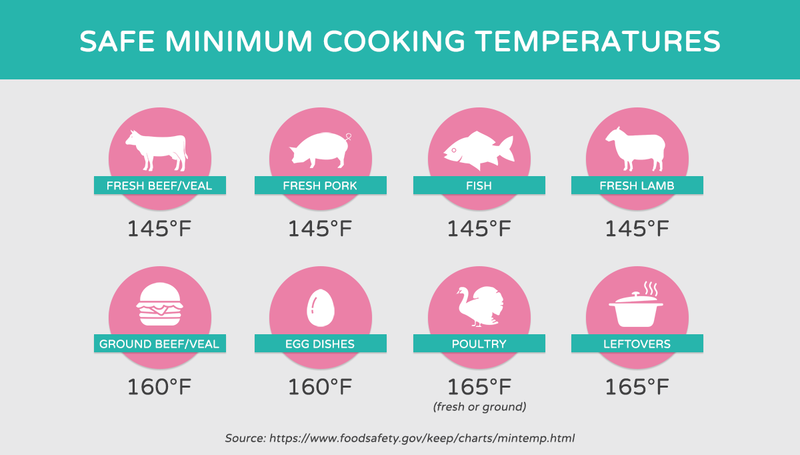 Thoroughly cook all meat, eggs, and even leftovers to the correct temperature in order to kill any bacteria that may be present. Use a food thermometer to accurately check if your food is ready. Checking the exterior color and texture is not reliable enough to ensure that your food is safe to eat. After your Thanksgiving feast has been devoured and your family’s bellies are full of food, refrigerate any perishable leftovers within two hours of serving. Traveling to a friend’s or family member’s home this Thanksgiving? Follow this simple food safety tip: For road trips longer than one hour, pack all food items in a cooler with ice. Dishes meant to be served hot should be prepared the day before, refrigerated, and then transported in ice. With these Thanksgiving food safety tips in mind, your family is sure to have a happy AND healthy holiday. So gobble, gobble that wonderful food!